Cedar is one of the strongest and best wood types for outdoor use, and All Things Cedar specializes in creating cedar products. That means that their products don't rot, decay, or attract insects. They need minimal maintenance and of course carry that lovely, unmistakable cedar scent. All Things Cedar is a world leader in the outdoor furniture industry precisely because their pieces hold up so well, and for so very long. Shop our full selection of All Things Cedar pieces now. 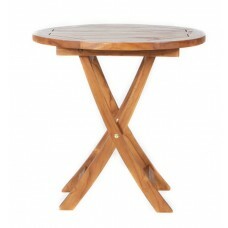 Sturdy, beautiful, made from Teak! 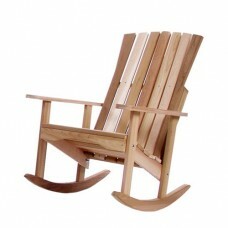 The All Things Cedar company also makes furniture pieces out of fine plantation teak. They choose clear grained Western Red Cedar when they create their cedar pieces. Each piece is sanded to silky smoothness to make it easier for you to use a lacquer, teak sealant, oil, or stain to maintain the natural beauty of your fine wooden furniture piece. 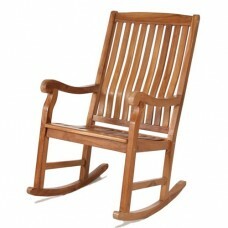 They have a wide selection of styles, too, including Adirondack chairs, garden benches, porch swings, glider rockers and rocking chairs. Are you ready to experience the beauty of finely crafted cedar? Then shop our full selection of All Things Cedar products today. 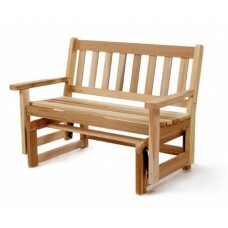 Their patio pieces will help you build memories and enjoy your garden or landscape for many, many years to come.